One of the best parts about being a nomad, is the amazing people you meet. One of these people, is a dear friend I met in Sydney. She came to visit me for 5 days and we decided a road trip is the best way to catch up. 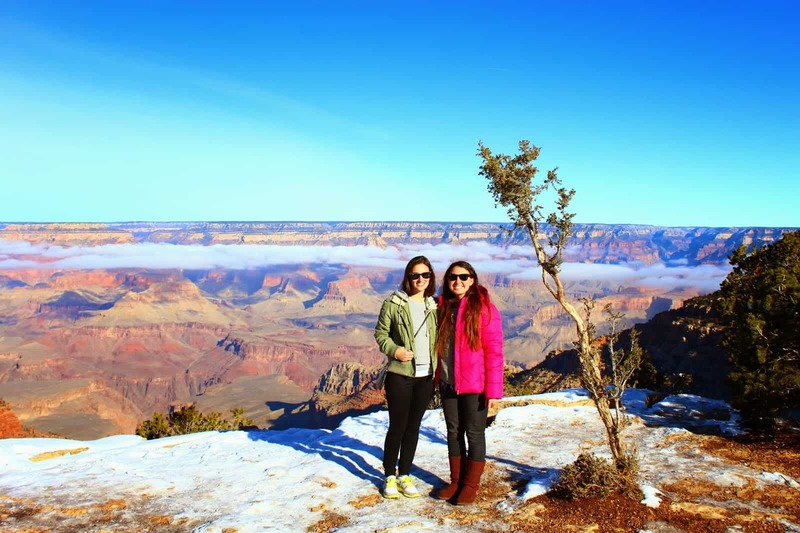 We had a roadmap, an iPod, a GoPro, a Subaru, no plan, and our only goal was to see the Grand Canyon. So naturally, we ended up having an epic adventure. I have spent many years living in Arizona half appreciating the beauty, and half taking it for granted. I now realize the best way to see your home, is through sharing it with a friend. 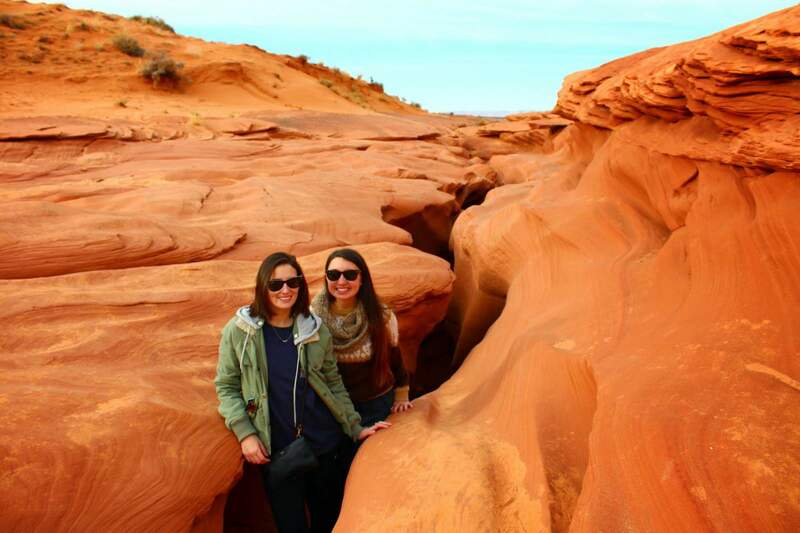 Start your Journey at Antelope Canyon. 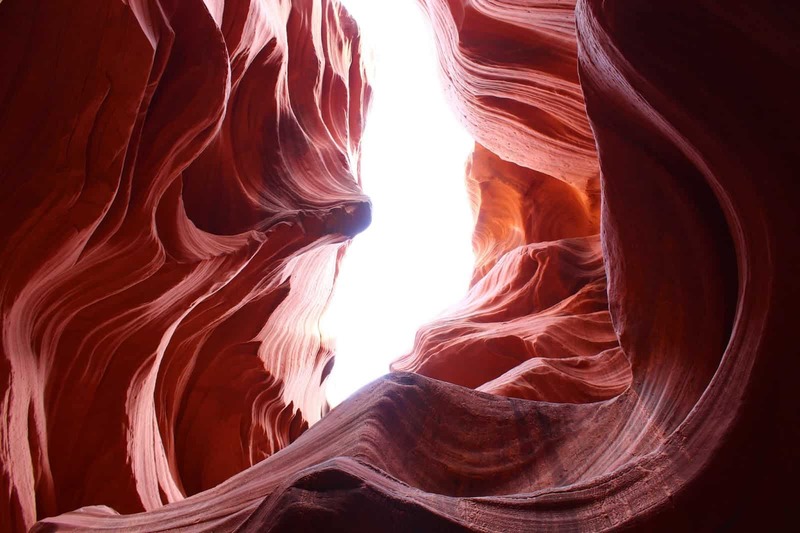 There, you can enjoy a tour through the natural narrow corridors, and an extremely helpful photography course from your Navajo guide. 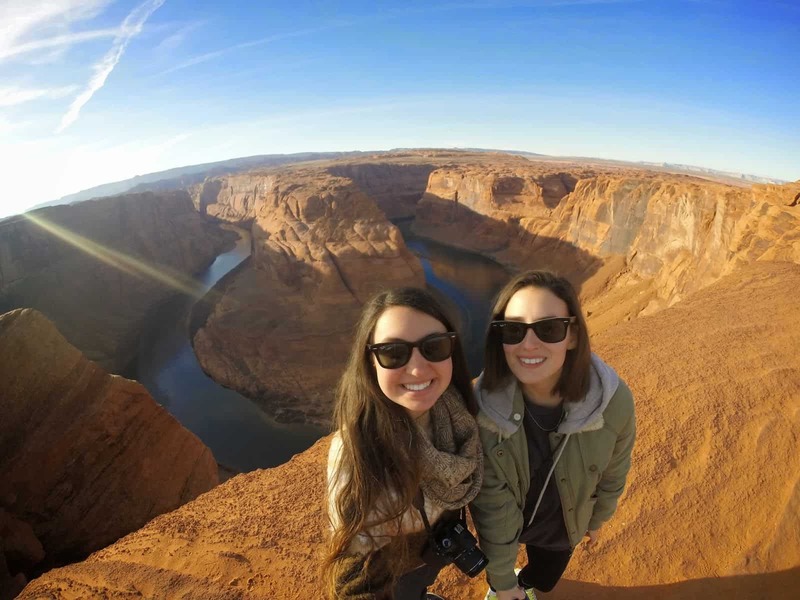 Afterwards, race the sunset to horseshoe bend for 360 views of red rock and the Colorado River. 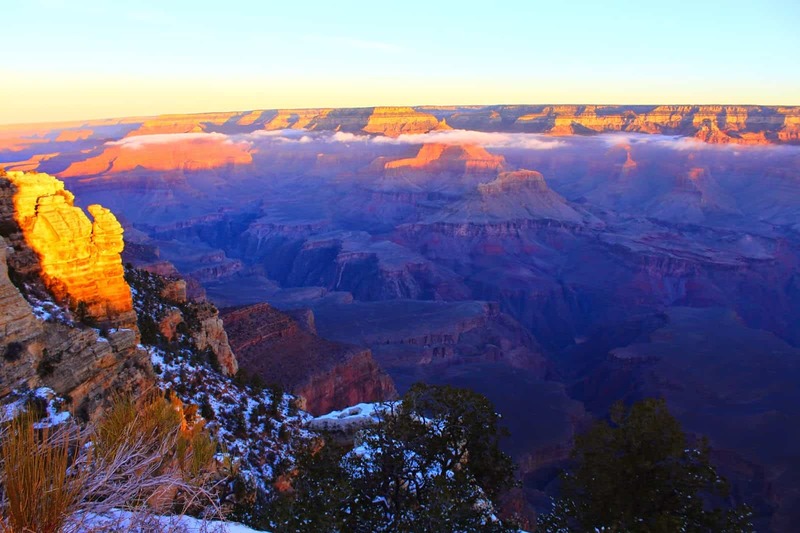 Arrive at a lodge in the South Rim of the Grand Canyon by dusk, and recharge your batteries for the natural wonder. Secure a spot at Mather Point, just in time to beat the crowds and capture uninterrupted sunrise footage. After reveling in the beauty of the snow covered trees (if it’s winter) freckled around the radiant pink and purple hues of the canyon walls, head South. Drive through Flagstaff, and stop for lunch in Sedona with views of the stunning red rock formations. After a few scenic hikes, and maybe a wine tour hit the road again and head down to the valley (Phoenix). Be sure to check Groupon’s wine deals then wander down South through the grasslands of Southern Arizona, and make stops at the cozy Wilhelm Family Vineyard and the more trendy Hops and Vines. After tasting the delicious flavors of Sonoita, settle into the hot tub at Walker Ranch, where you will be assured to awake to another memorable sunrise. Finish the trip in Tucson at the Sonoran Desert museum zoo, where you can encounter a mountain lion and various other desert dwellers. Then one final discovery walk through Saguaro National Park, with thousands of cacti of all shapes and sizes surrounding you.